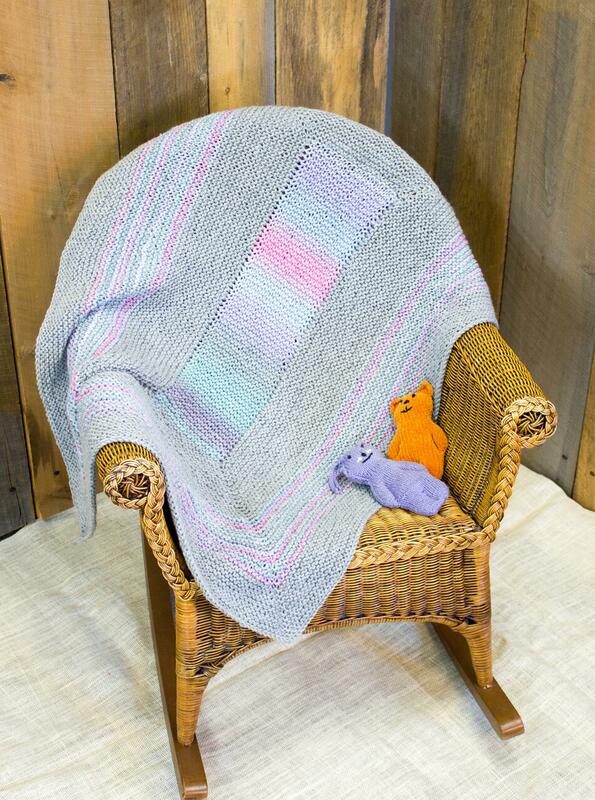 Dream Baby is an easy to knit, super snuggly garter stitch baby blanket. 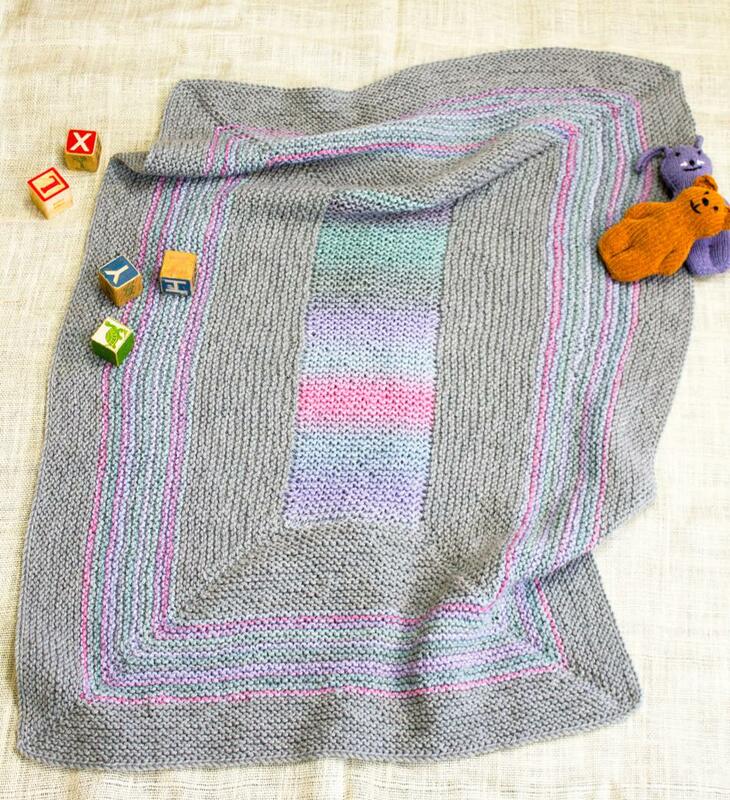 A combination of solid colored and self striping yarns is used for simple but eye-catching colorwork, worked mostly in the round from the inside out. 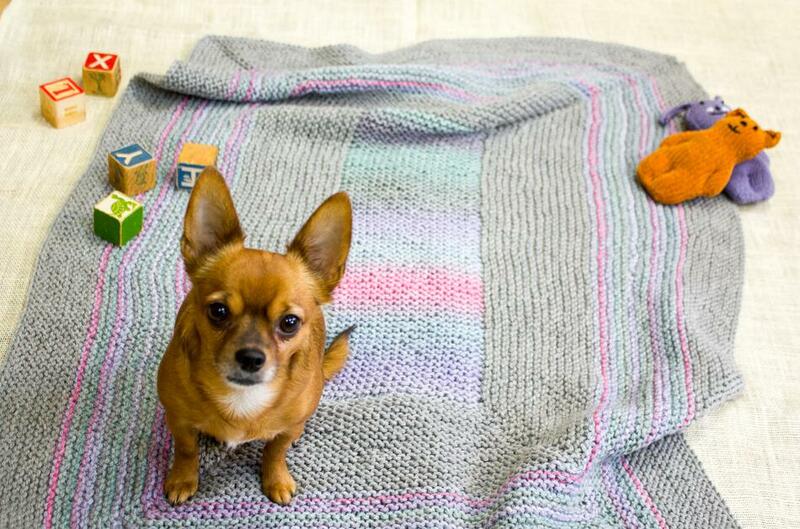 Chunky superwash yarn and large needles make this garter stitch blanket so springy and soft, you might want to get additional yarn and add a few more stripes to make a throw for yourself! 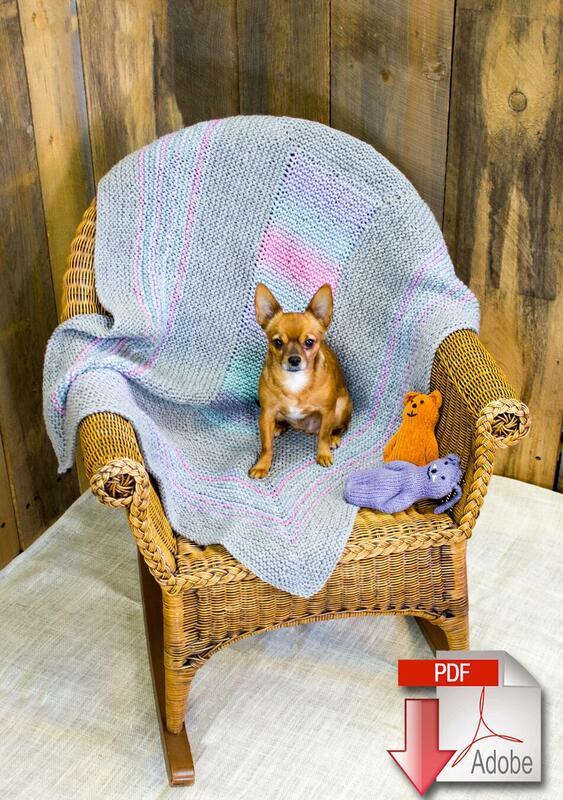 Size: Finished blanket measures approximately 46" x 33"
Gauge: 10-11 sts and 20 rows to 4" in garter st using size US 11 needles, or size needed to obtain gauge. 40" or longer circular needle suggested.